Today we have lots of exciting news for the fans of this upcoming online first-person shooter. Thus, the developers have revealed the release date of the Destiny beta, presented its full-fledged trailer and told more about the game's editions and future expansions. Let's talk about everything in order. So, the Destiny beta is coming for the console players and will last only a few days. The first gamers who will be able to join the testing are the owners of the Sony's consoles. The Destiny beta for PS3 and PS4 starts on the 17th of July and will last until the 27th. However, the developers have scheduled the maintenance of the servers during the 21st and the 22nd of July, so don't plan to play the game on these days. The owners of Xbox One and Xbox 360 will be able to join the Destiny beta on the 23rd of July and will also enjoy it until the 27th. Have we intrigued you? Then you should get to know how to receive access to the Destiny beta. Everything is easy. You just need to pre-order the copy of the shooter on any platform you like. 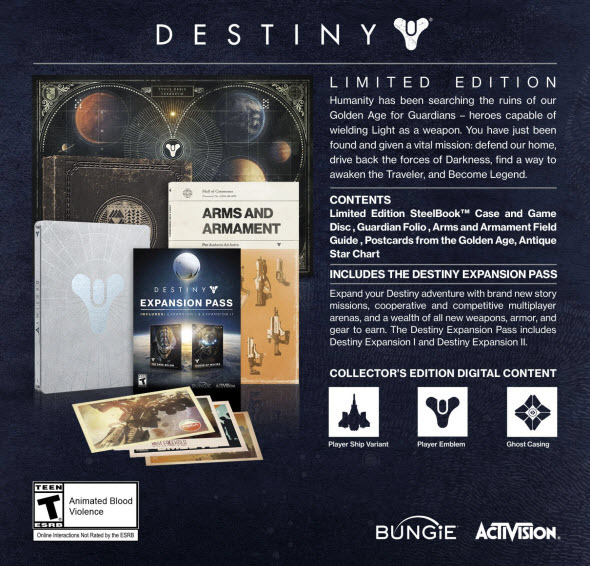 By the way, you can not only buy the Destiny game itself, but also get lots of bonuses from its collector's editions. The first edition - Limited one - consists of a steel box, a guide about the armament of the game, several postcards and a beautiful star map. Also, this edition includes lots of digital bonuses: an exclusive ghost casing, a player emblem, a skin for your spaceship and an access to the expansion packs. It is worth to mention that the Destiny game will get two DLCs - The Dark Below and House of Wolves - for $19.99 each. The packs will include new maps, missions, some gear and other bonus content that hasn't been revealed yet. If you want to buy both of them, then it is easier to purchase a Season Pass, which costs $34.99. Or, as you may have already understood, buy the Limited Edition at $99.99. For those who think that it is not enough, the developers have prepared another one pack. 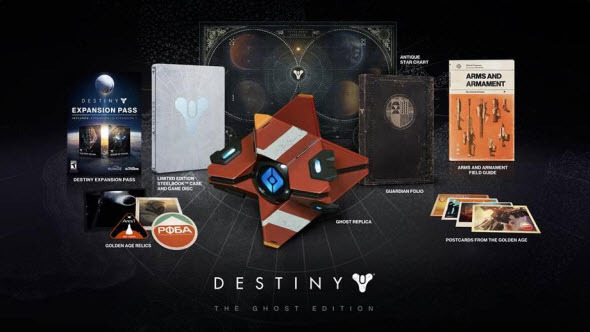 The Ghost Edition consists of the whole content of the Limited one and also includes a great robot model, which imitates the lights and sounds of the in-game one, a letter of introduction, a patch, a sticker and slides. To get all these things, you have to pay $149.99. Would you join the Destiny beta? Are you going to buy any exclusive edition? Let us know in the comments below!